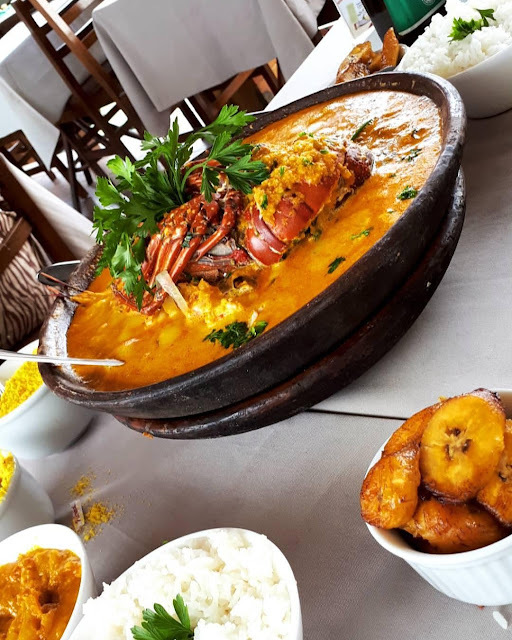 One of the coolest things about is in Salvador, the third largest city in Brazil, besides the beaches and many leisure options is the cuisine. Salvador is a city where you can find everything but the highlight is even local or Bahian cuisine. The most famous tastes are undoubtedly the Acarajé a fried bean dip in palm oil that is served with shrimp, diced tomatoes, pepper ..
And Abará another that carries the same ingredients of the first, only that is not fried but cooked with leaf of banana trees. And the Peixe Vermelho, fried red fish, both with accompaniments of rice, beans, among others .. They are delicious dishes and well nutritious and to eat up to 3 people. So when you're in Bahia, you know how to do it like I do, and I enjoy them mostly on the beach as I usually do. It is not so cheap but well worth it.